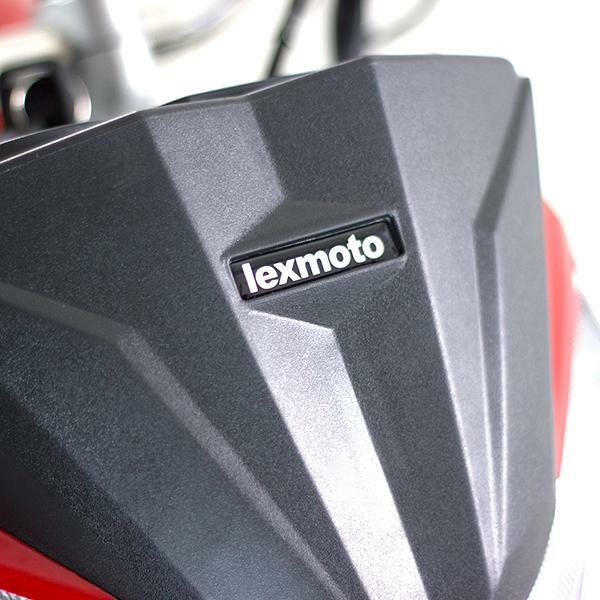 The model has been replaced with The Lexmoto ZSX-R 125 EFI. 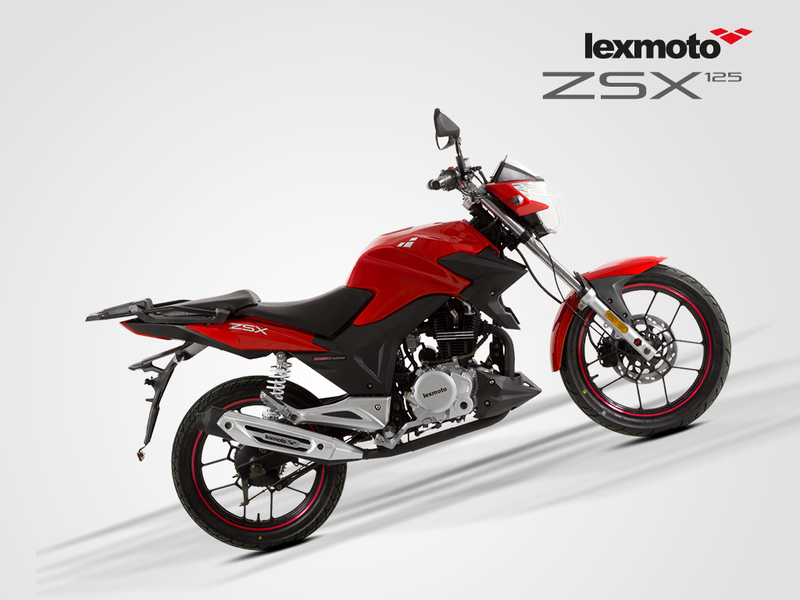 The ZSX is Lexmotos Flagship model. 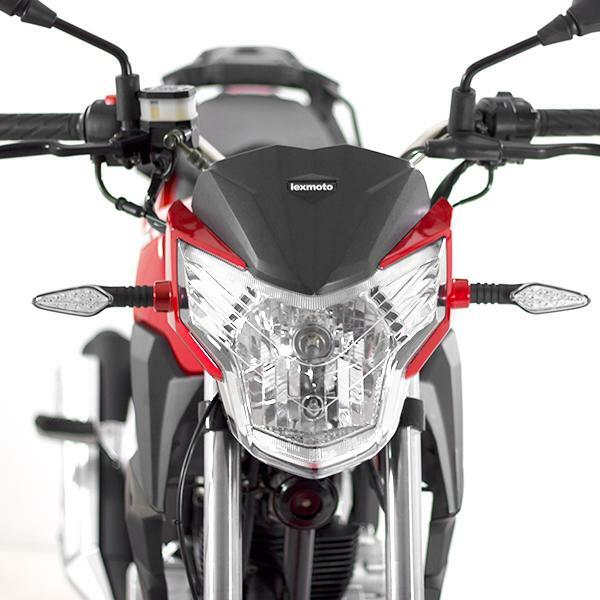 Taking aim at its Japanese counterparts, the model aims to deliver the best quality that China has to offer to exceed its rivals despite being a significantly lower price. 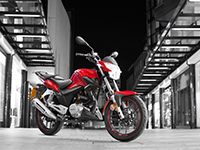 The ZSX displays sharp styling and a big road presence whilst providing performance and handling to prove its appeal isnï¿½t only skin deep. Incorporating a digital display and convenient storage that no other brand can replicate the ZSX includes many features that no other brand can come close to replicating. 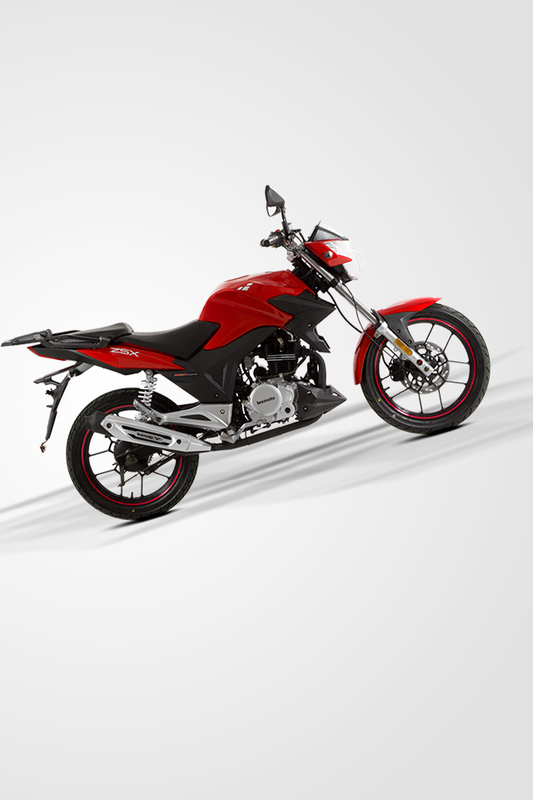 This bike complies with the Euro-3 emissions regulations as certified by EU member state. 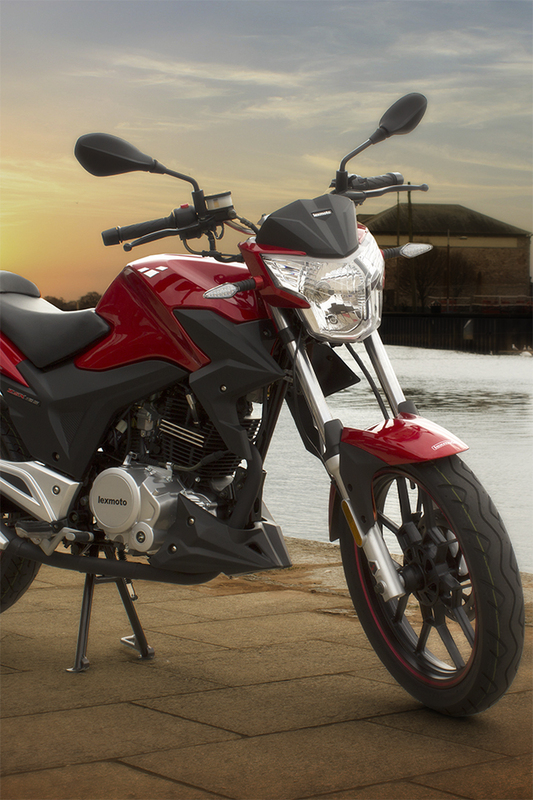 The vehicle is able to be ridden on a CBT Certificate classed as a learner vehicle. 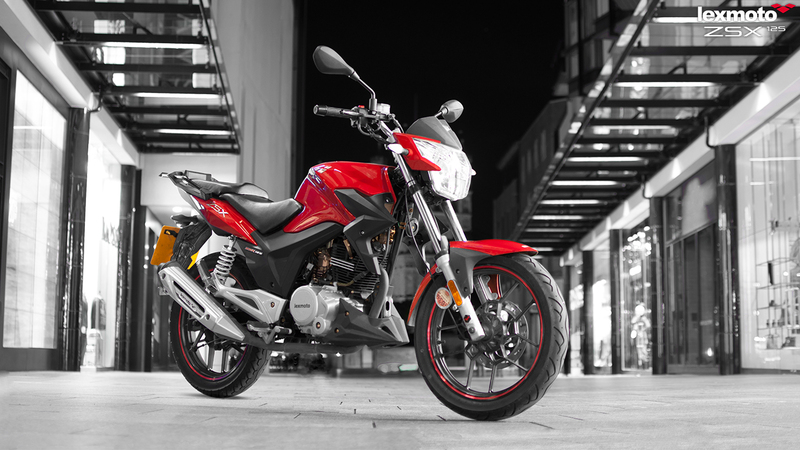 Most 125cc models can return between 80-100mpg whilst 50cc models are capable of 100-120mpg+ *dependant on riding style and other factors. 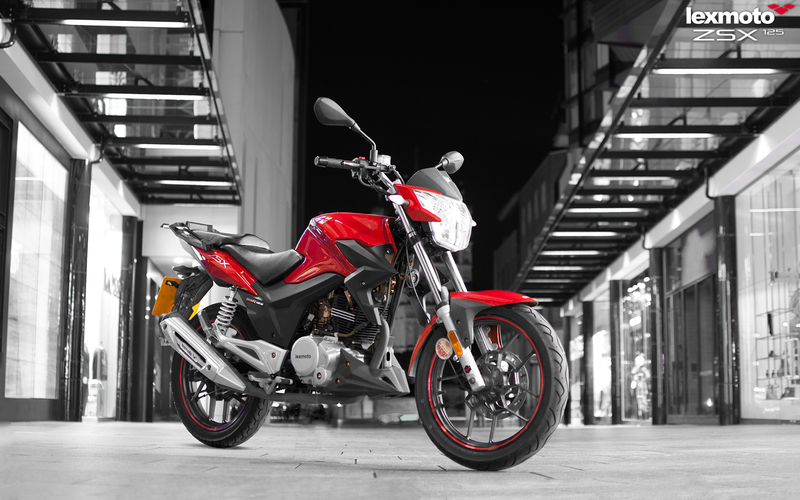 All models are imported from China into the UK and registered with the DVLA and Insurance databases properly. This means that you get a bike that has already been registered so no additional paperwork needs to be sent directly to the DVLA and when it comes to insurance the companies know the bike and can provide cover. Brilliant bike. Great quality for an awesome price. The Lexmoto ZSX is a stylish bike which obviously takes inspiration from another popular learner legal bike, the Honda CBF 125. 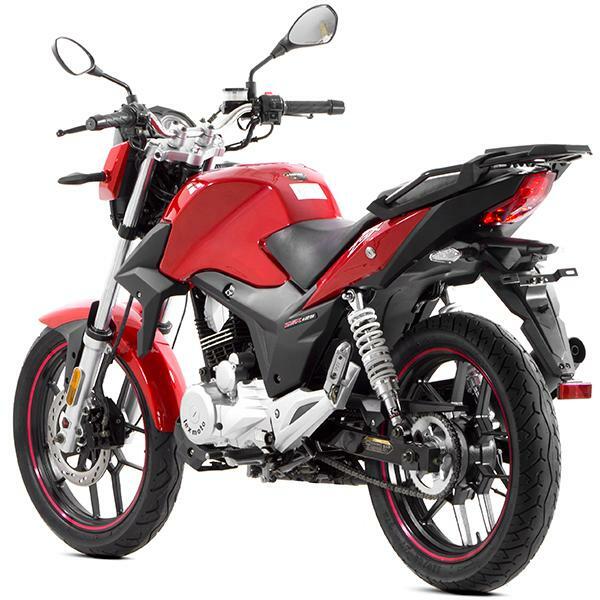 For years the Japanese bikes have been considered to be clearly the best motorbikes available on the market and the Chinese bikes inferior. 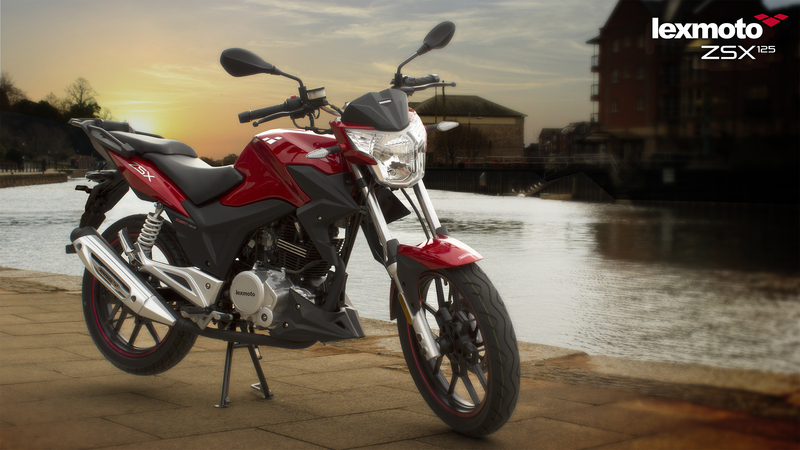 However I can honestly say that this distinction is no longer so obvious, with the Chinese motorbikes certainly catching up with the Japanese motorbikes. 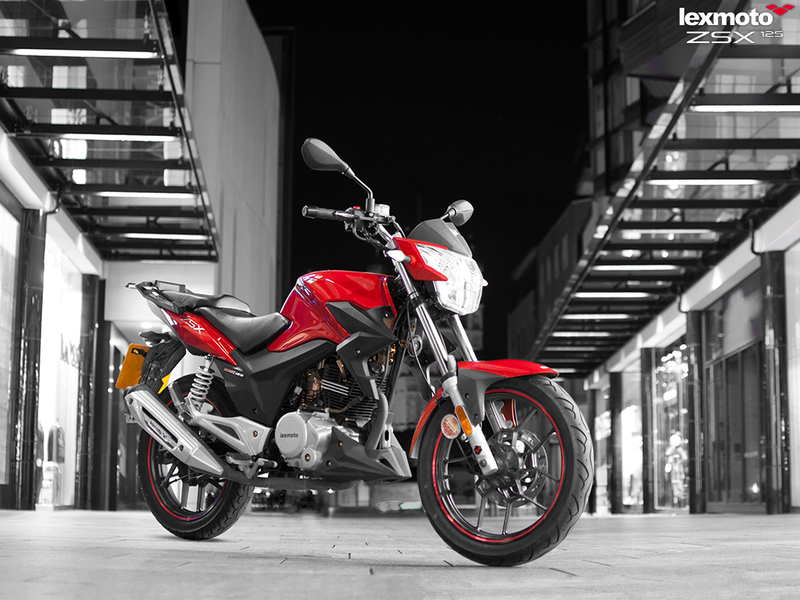 Aesthetics (10/10) The Lexmoto ZSX certainly looks the part. 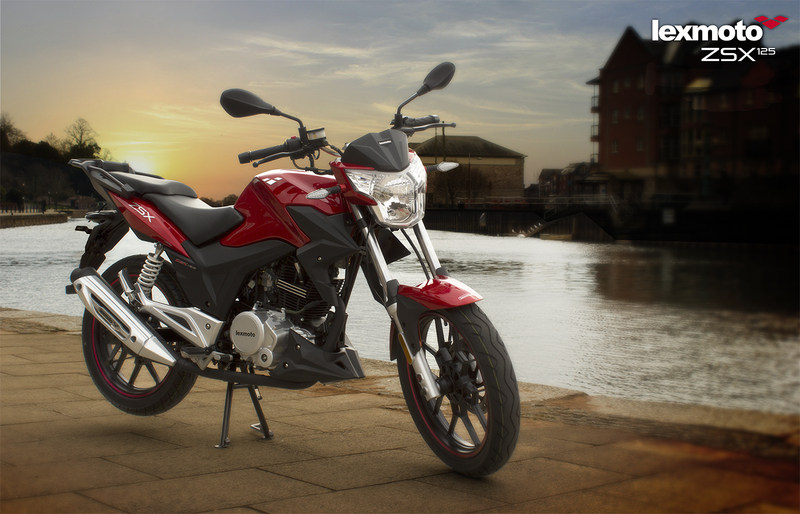 The bike itself looks fairly aggressive, the panels ending in sharp points which give the bike character. The tank itself is a black gloss which when polished has a fantastic finish. 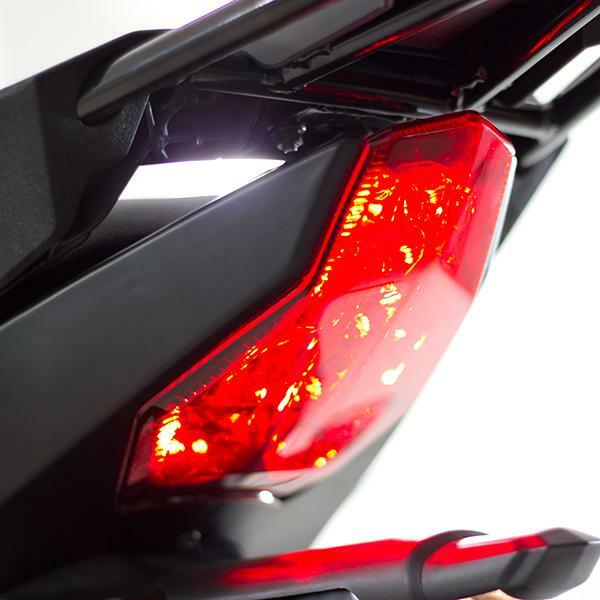 The side panels are black matte which although sounds tacky, works well with the black gloss paint. 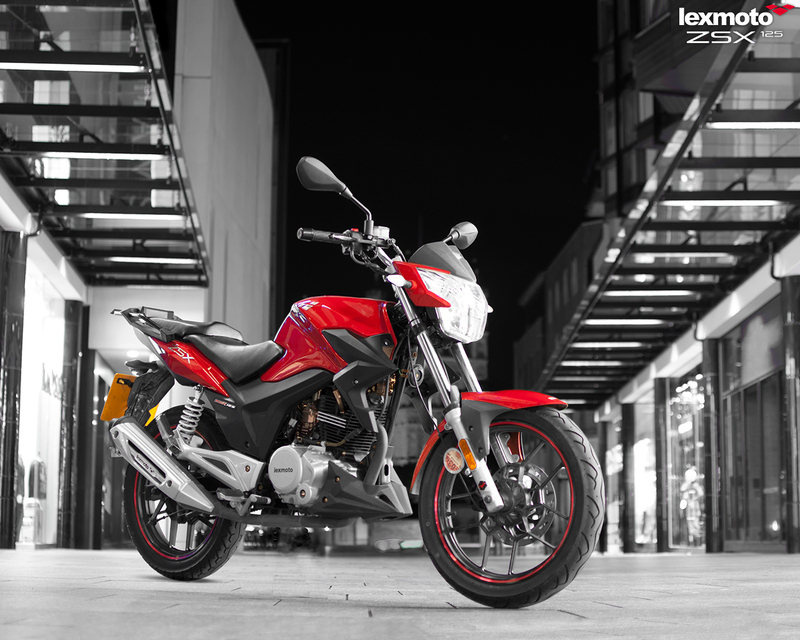 The ZSX wheels are lined with red metal on the rims which makes the bike to stand out in a positive way against the bodywork. 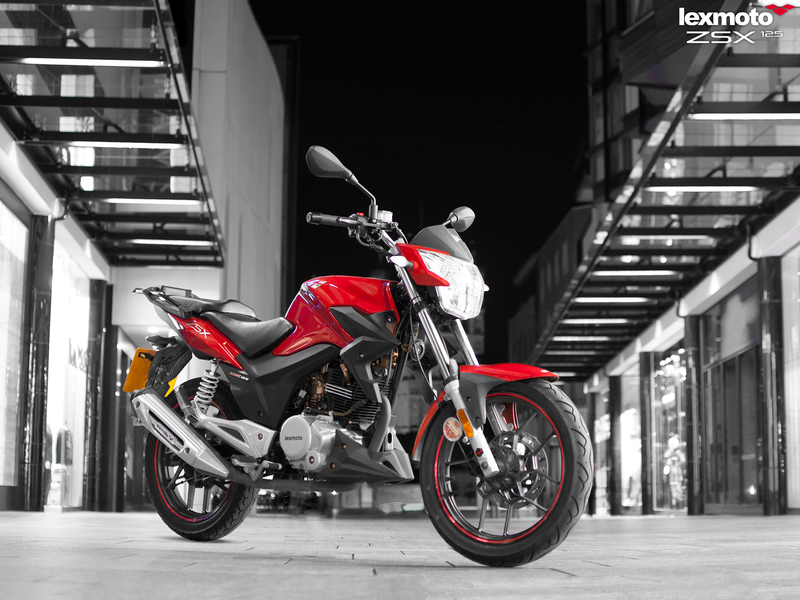 On a black bike it helps give the bike some extra looks by adding more colour, and if it's on the red bike it helps blend in with the rest of the bike. 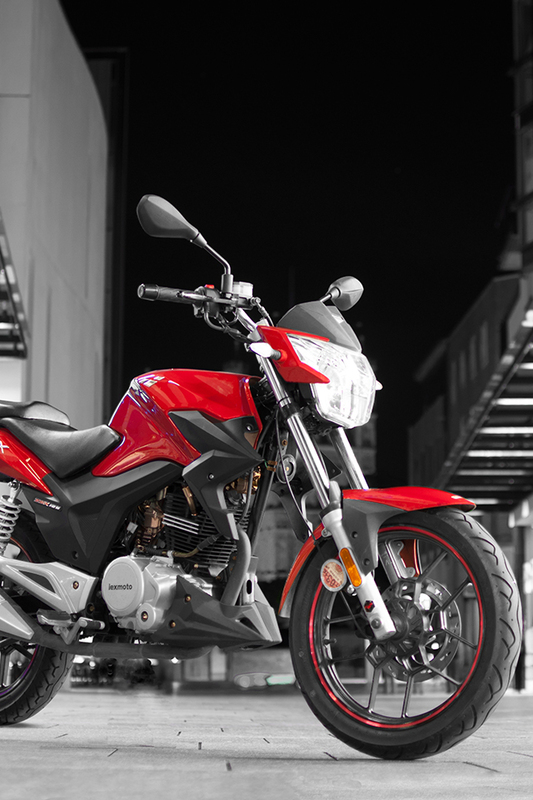 Overall the bike is beautiful in terms of looks, and you will be the envy of your friends. 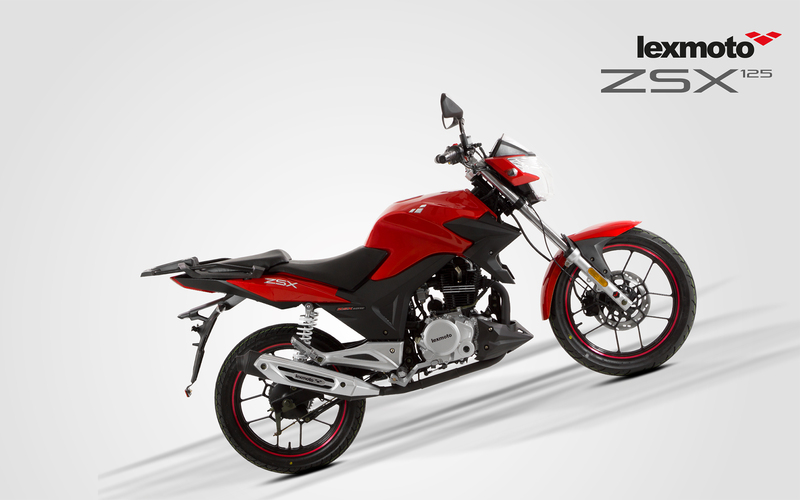 Seat and comfort (8/10) The seat on the ZSX is in two parts, the main seat which is for the rider themselves and the rear seat which is for the passenger. 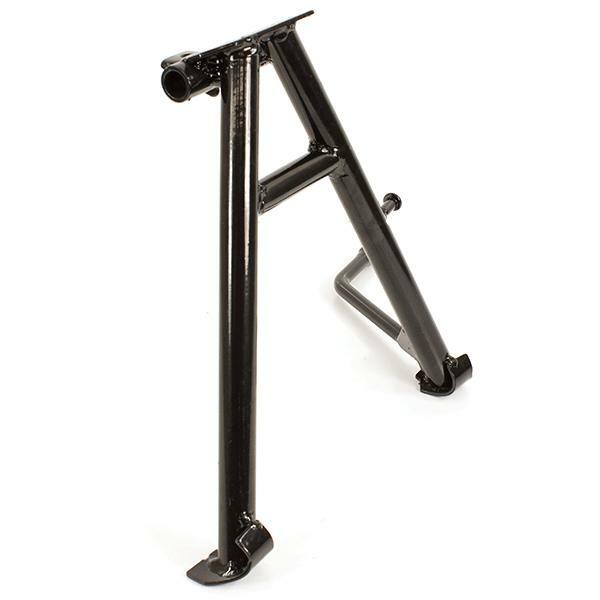 On short journeys, and medium length journeys the seat is perfectly capable of holding it's own and you will have a comfortable ride for the journey while sitting upright. 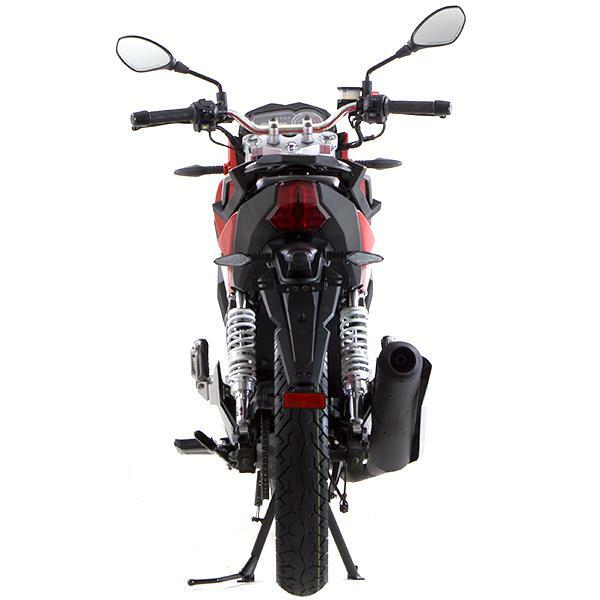 However at long distance journeys, such as two hours or more you will find that after this length of time your rear and back of your legs will start to go numb. 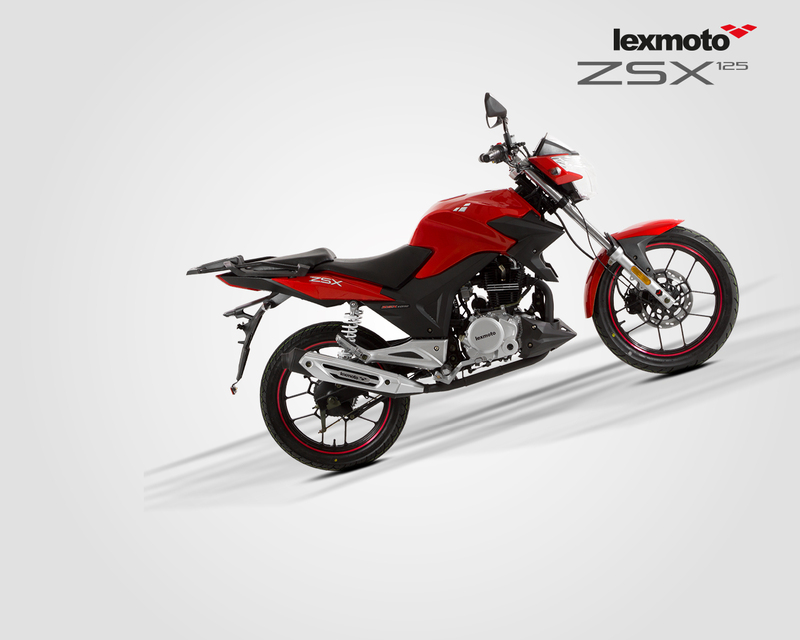 However this is the case with most motorbikes and is not a major flaw of the ZSX. 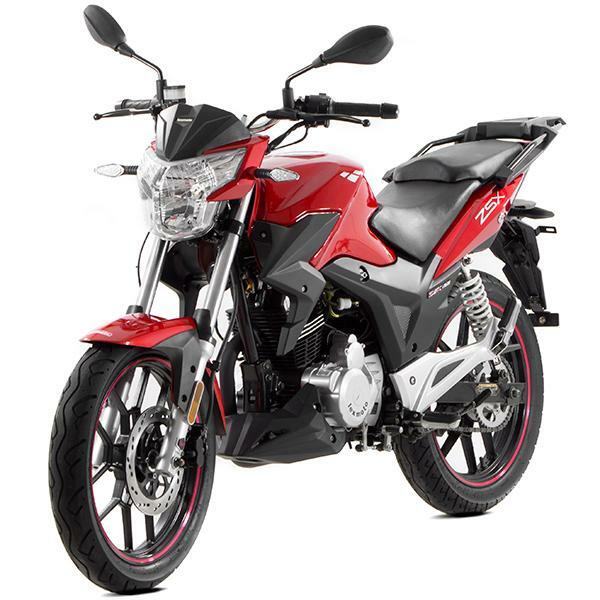 As somebody who uses this bike for visiting home while I am at University, which for me is a 30 minute ride, it is not a problem whatsoever. 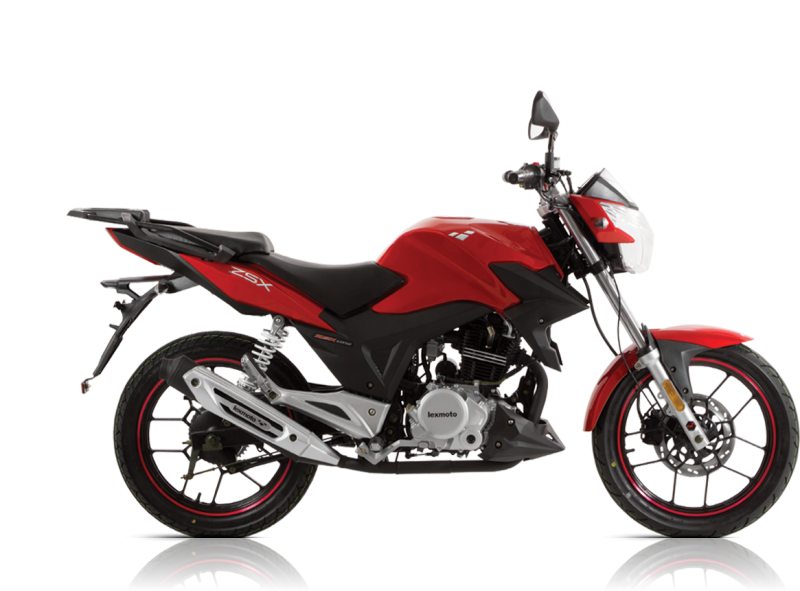 The seat on the ZSX features under seat storage which is a rarity among motorbikes which is useful although it does not have much space. I can store my mobile phone, my wallet, a tool kit and a few other random bits and bobs under the seat. 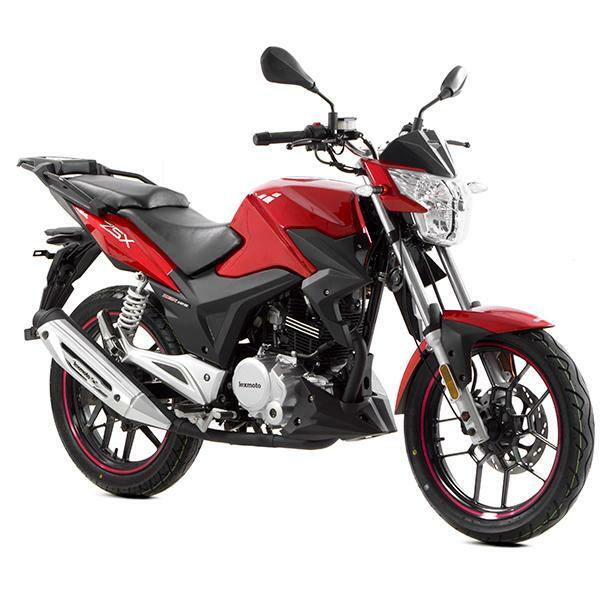 Overall the seat is comfortable for most journeys, and there is no problem unless you are regularly riding for over two hours and the under seat storage is a welcome luxury. Tyres (7/10) The tires on the ZSX are fairly big for a 125cc, much bigger than the Arrow and the Vixen. They provide adequate grip in most weather. I have rode the bike in perfect weather, in light rain, regular rain and on surfaces covered in gravel and have had no problem with surface grip. 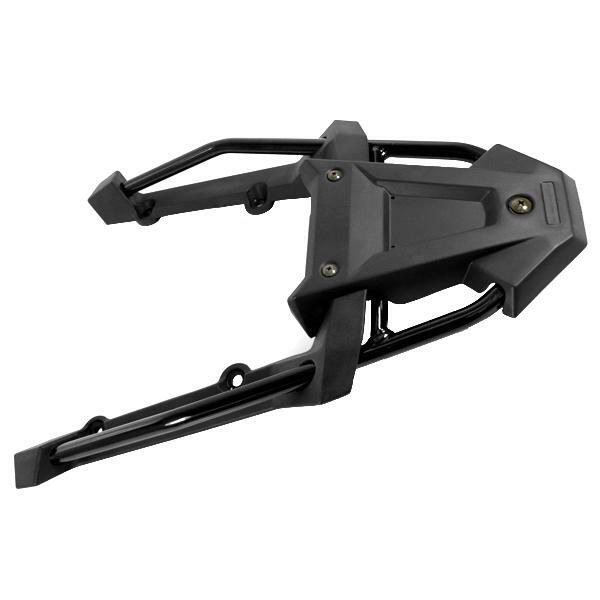 I can only see the grip being a problem in extremely heavy rain where it can become dangerous and in snowy and icy conditions. However this is fair for most motorbikes and is even a problem in cars. 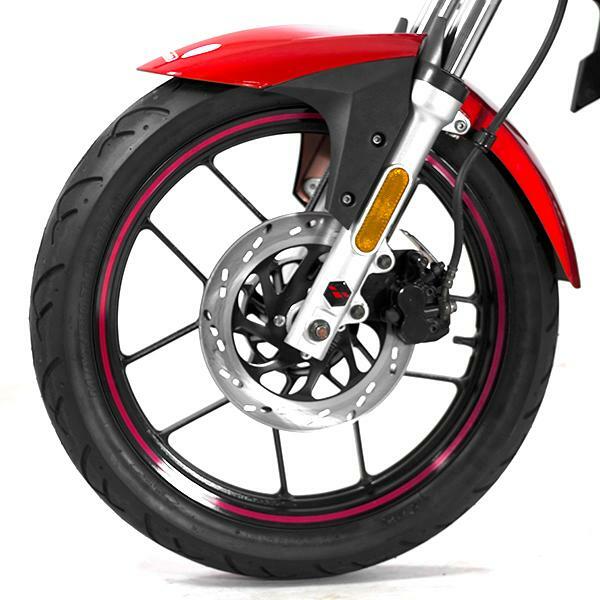 The tyres do not contain an inner tube like some motorbike tyres, which means there is only one layer to puncture before the tyre becomes unusable - whereas an inner tube would provide a second layer and thus extra protection. Overall the tyres have adequate grip for all but the extreme types of weather, but the lack of inner tube is disappointing. Handling (10/10) Simply put, this bike is amazing to ride. I cannot put in words how much fun this bike is, it's so easy to ride! The bike is fantastic in corners, you will have no problem counter-steering even into the sharpest of corners, the ZSX will not let you down. 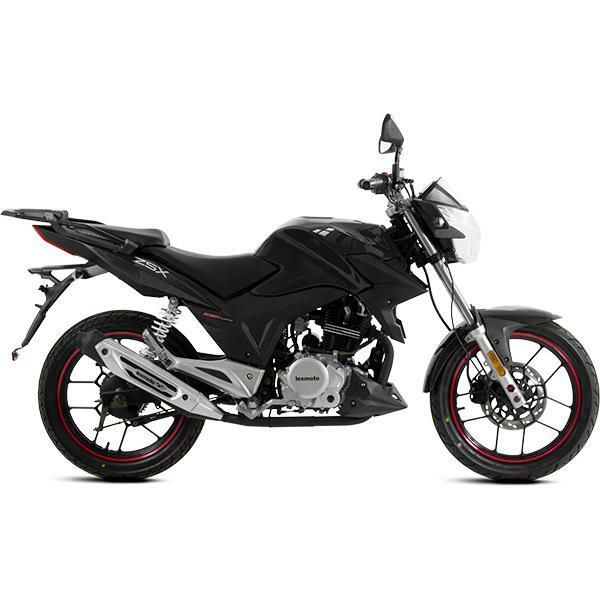 I have been into some very sharp corners and have leaned into some extreme bends and I feel completely safe on the bike as it feels sturdy and does not wobble. Overall, the bike handles amazingly well and I cannot fault it whatsoever. 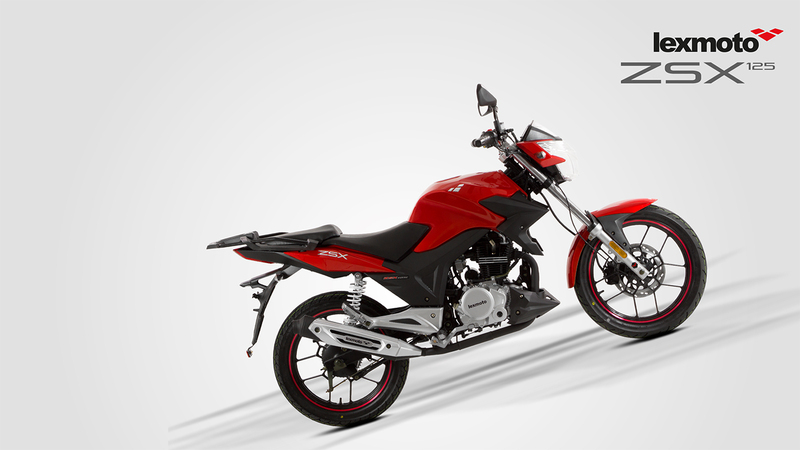 Brakes (9/10) The ZSX features a disc brake for the front wheel and a drum brake for the rear wheel. Ideally the break for the rear wheel would also be a disc brake but now I'm just nitpicking. 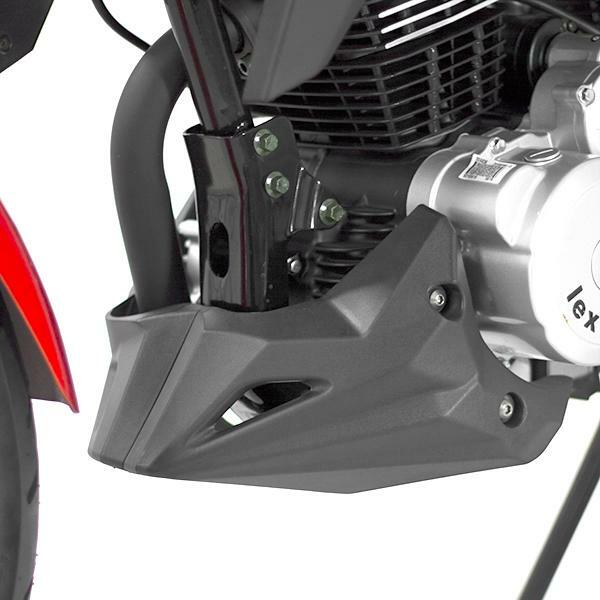 I am confident with the brakes on the ZSX. It has no problems slowing down smoothly, and even in emergency stops which I have had to perform on one occasion, still slow you down quickly and smoothly. The brakes on the ZSX allowed me to smoothly brake from 50mph to a complete stand still in about five seconds. 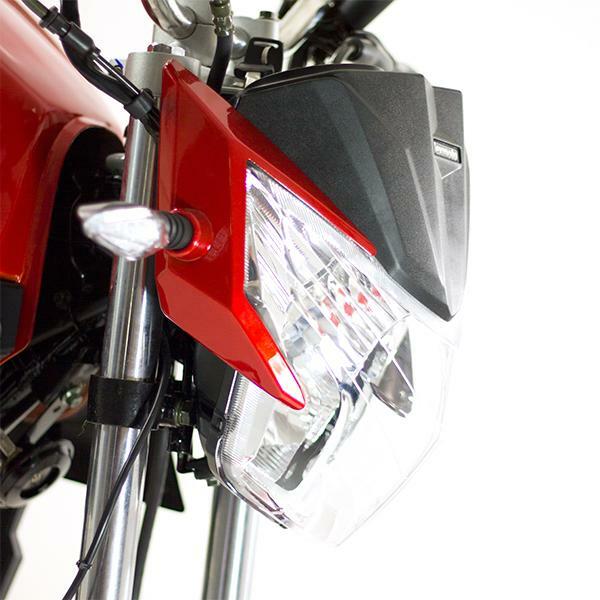 Overall, the bikes brakes function very well for everyday use, and even in emergency stops they will not let you down. 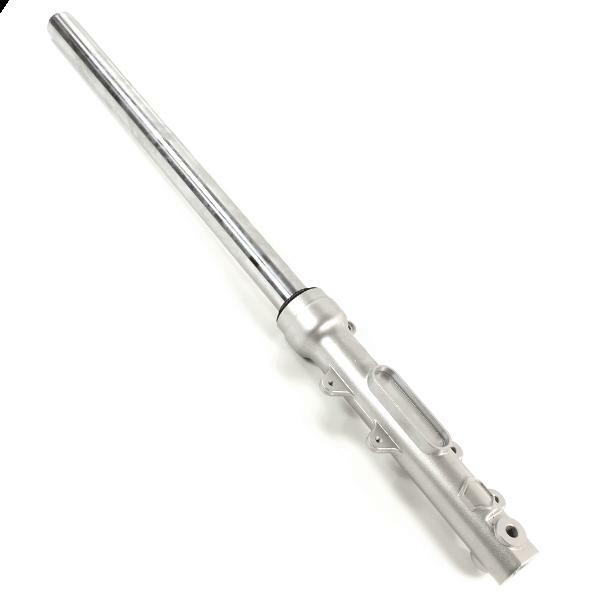 Gears (9/10) The ZSX uses one down four up gears and is very responsive. 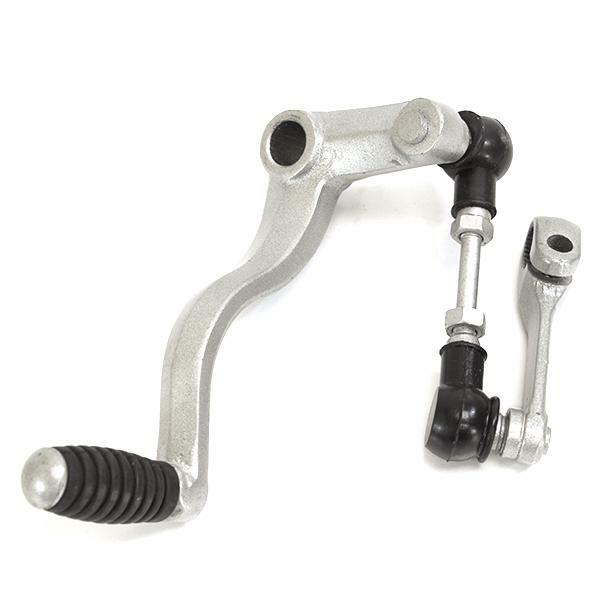 I have had no problems going through the gears smoothly and quickly. The only thing I do have to say, and it is nitpicking, is that going from 1st gear into 2nd gear, you can accidentally go into neutral if you do not apply enough force, however most motorbikes have this problem so it is not just the ZSX. 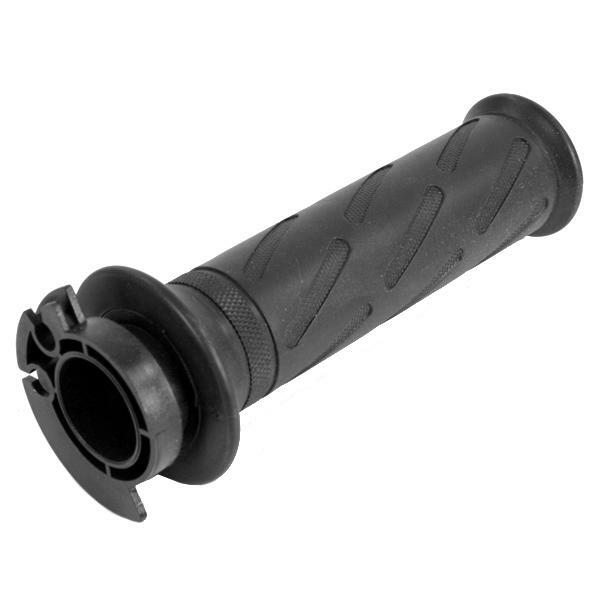 Overall the gears operate extremely well and function smoothly. Dashboard (10/10) In my opinion the dashboard on the ZSX is easily the best for a 125cc on the market, even better than the Yamaha YZF R125. The ZSX is a combination between the more modern digital and the more traditional analogue which although unique, works very well. It works better than an all digital dashboard, and better than an all analogue dashboard. 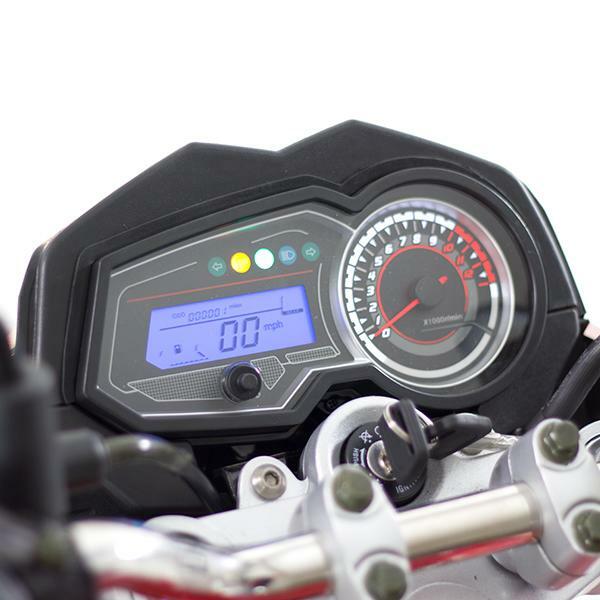 The digital half of the dashboard shows the speed the rider is travelling and also has a fuel gauge along with a gear indicator which is very useful indeed. The analogue half shows the revs. 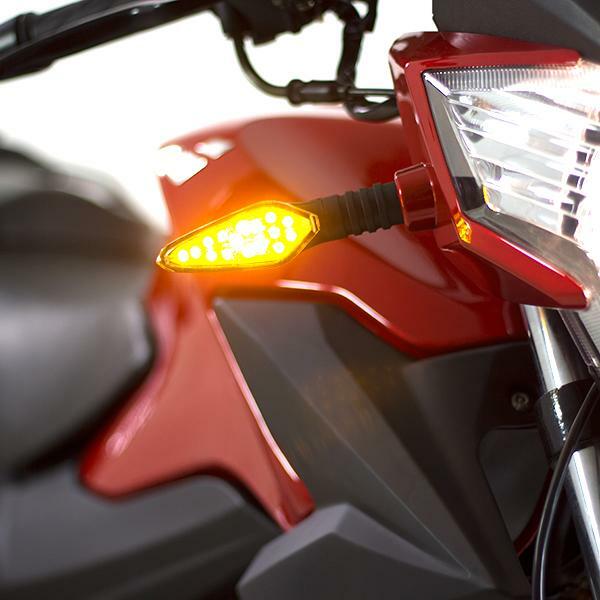 The top of the dashboard has the neutral light, the indicator lights, the fuel light and also a light for full beam. 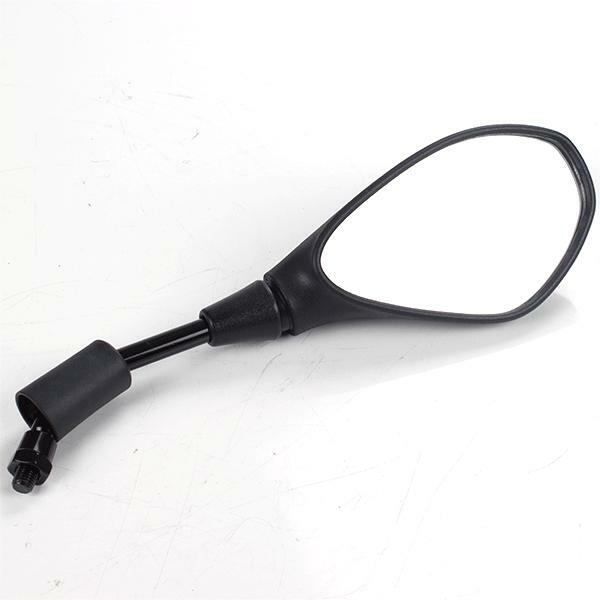 The dashboard is easily seen in the light, and in darkness a backlight lights up automatically which allows you to see both halves of the dashboard clearly in the dark. Overall the dashboard looks fantastic and in use works very well. Lights (8/10) The lights on the ZSX work very well. 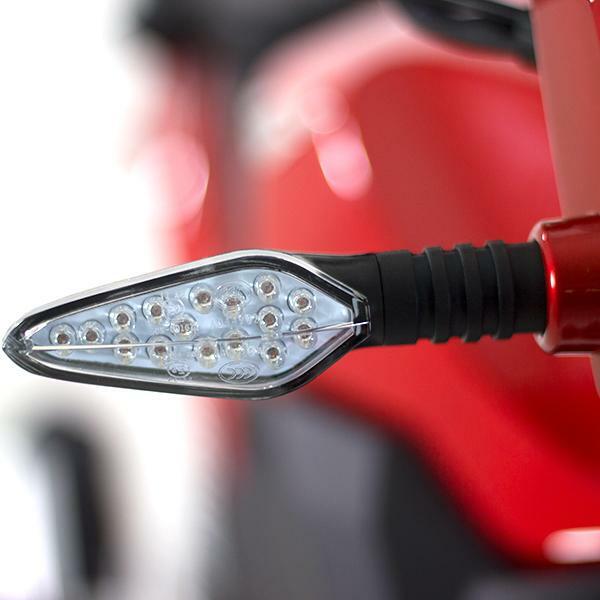 It does not use bulbs but instead uses LED's which light up brighter and whiter than regular bulbs which is excellent when riding in the dark. Whilst riding in darkness half beam worked perfectly allowing me to see ahead of myself without blinding oncoming driver. On full beam the lights still work very well allowing me to see very far ahead, however they do seem to be dimmer in the middle of the beam, although this is not a problem as you are looking far ahead when riding. 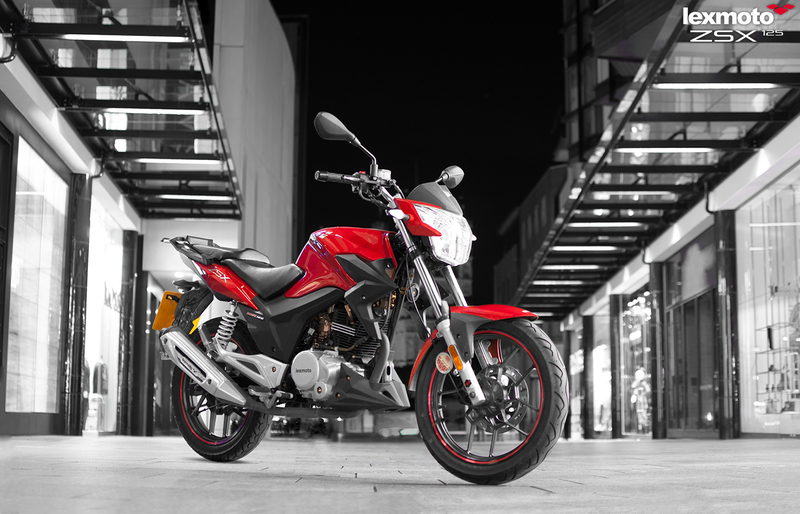 Overall, the lights work very well and I am confident riding on ZSX in darkness. Throttle and clutch (8/10) For a learner legal bike it sure does have some decent speed. The ZSX can quickly accelerate, easily going from stationary to 30mph in about five seconds. 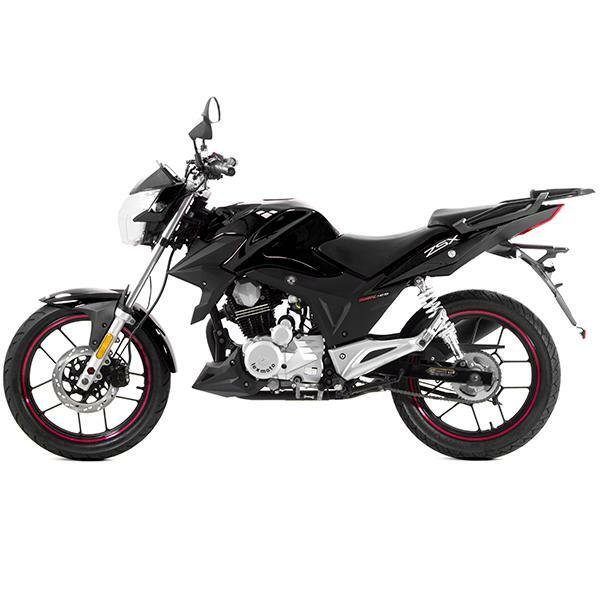 This is by no means a super bike but for a learner legal bike it's great. 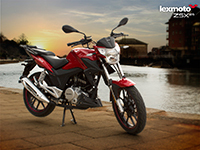 The throttle and clutch are very responsive, allowing the rider to make good use of clutch control at slow speeds which is useful when performing a turn in the road and stopping and starting smoothly. 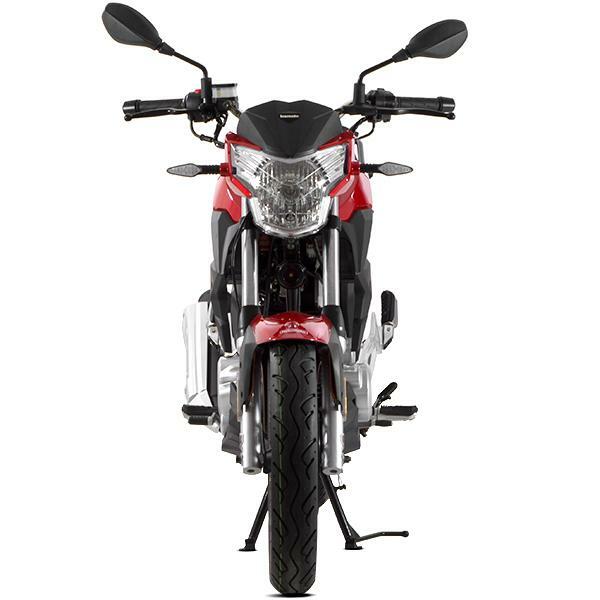 Overall the bikes throttle and clutch do their job to a high standard and are very responsive. 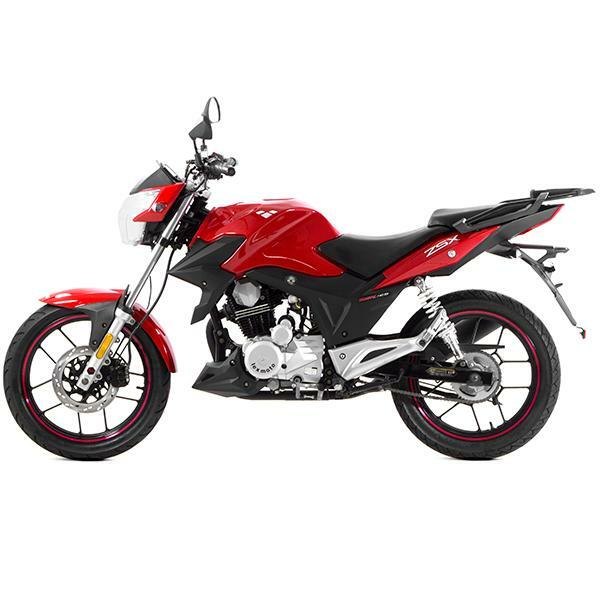 Conclusion (9/10) In conclusion, the ZSX is a great leap for Chinese motorbikes, allowing them to become even more competitive in the motorbike industry. 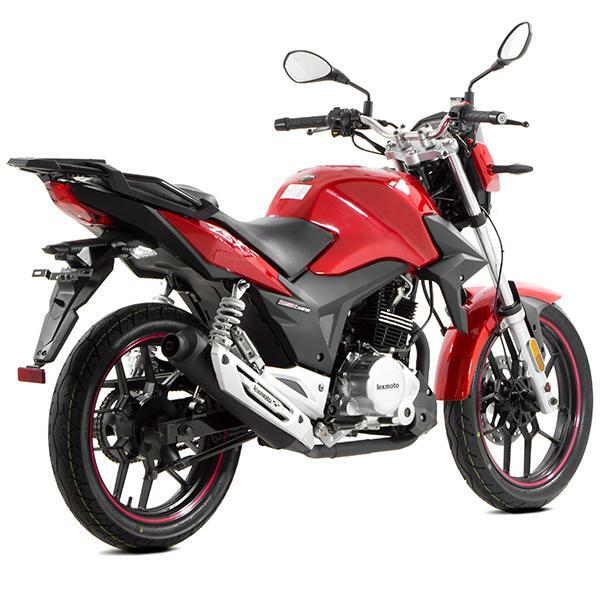 If you are considering a Lexmoto ZSX or a Honda CBF 125, I can honestly say pick the ZSX. 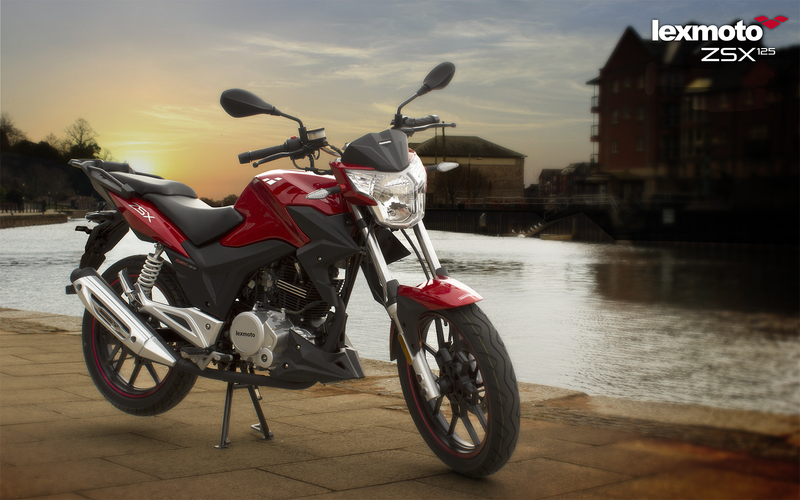 The ZSX is priced at Â£1599 with the average Honda CBF being almost Â£1000 more expensive at Â£2500! 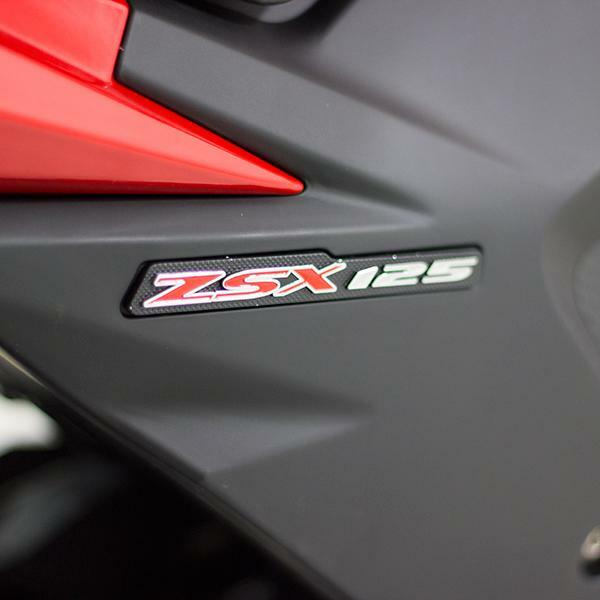 The ZSX is easily on par with the CBF 125, and it will not disappoint you! 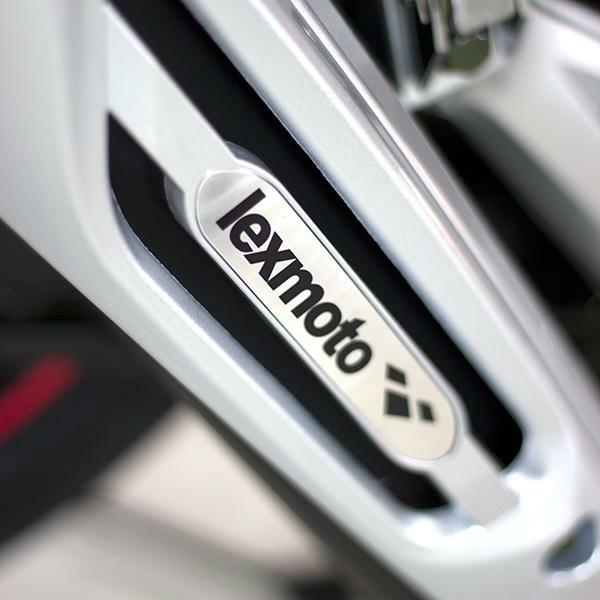 The Lexmoto Dealership I purchased the motorbike from includes a five year guarantee parts and three years labour included in the price of the bike with no extra charge. For five years guarantee and three years labour, it is obvious that the dealer has confidence in the motorbike. 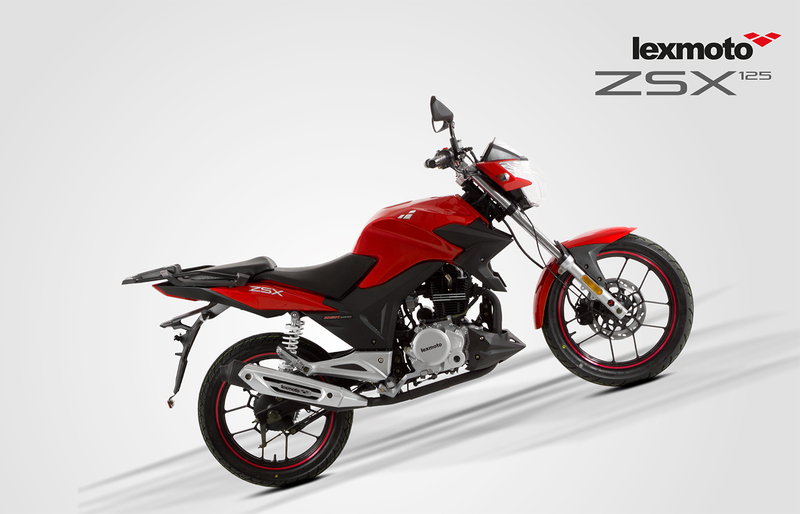 If you are considering purchasing the Lexmoto ZSX, you will not be disappointed if you buy the bike! 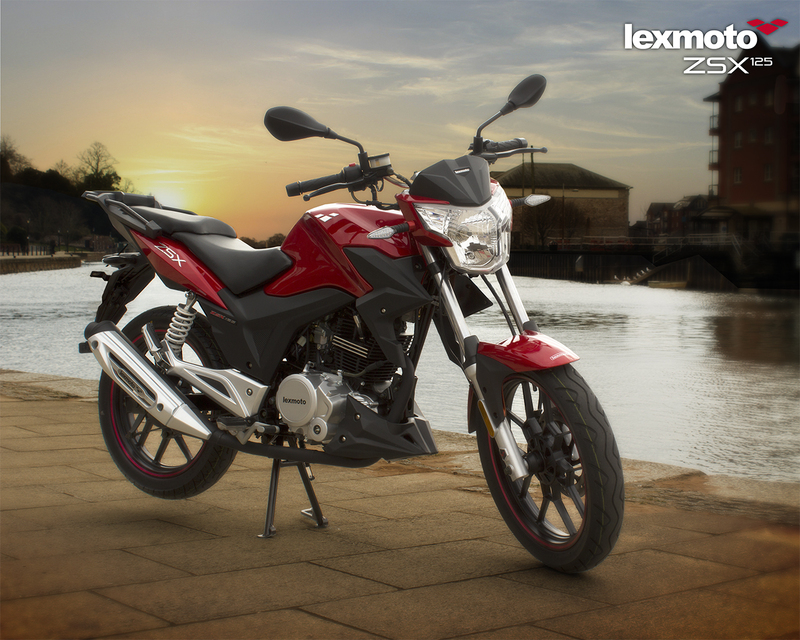 One word to sum up the Lexmoto ZSX? Fantastic!